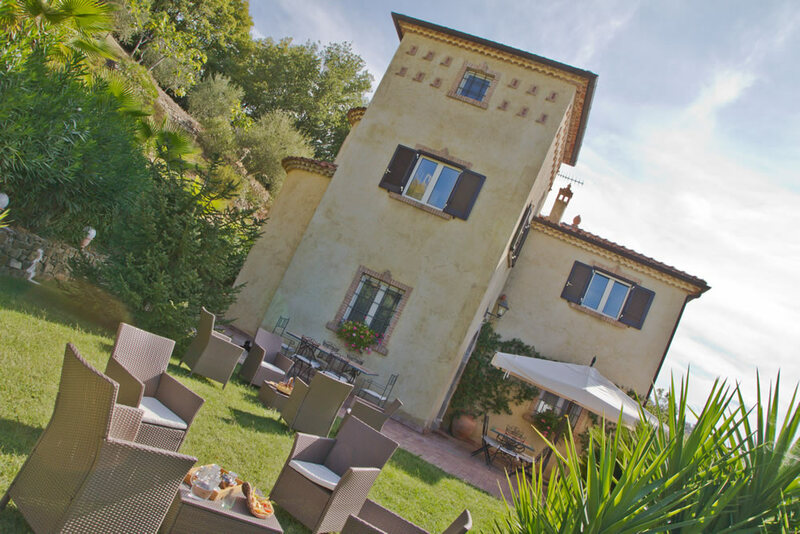 A garden with more than 400 olive trees, along with white fig trees, flowers and Mediterranean maquis: that is Borgo Riccio historical residence. 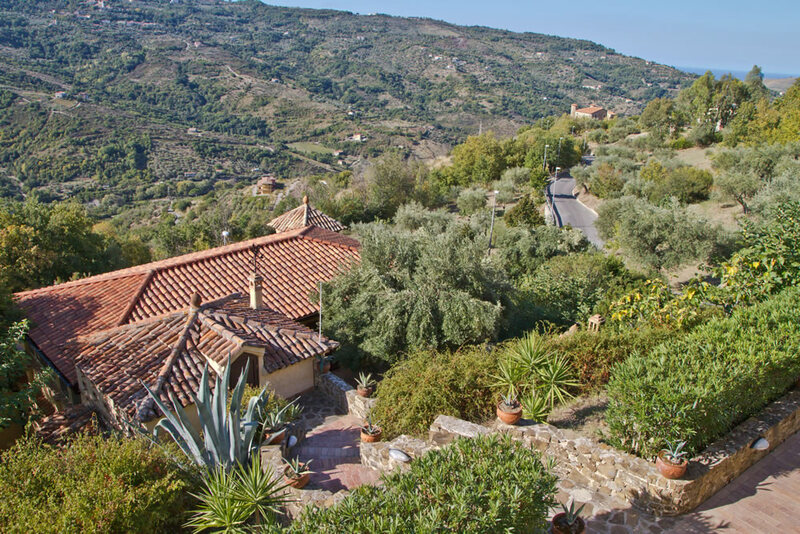 The ideal location for a slowholiday in Cilento, in a peaceful environment in the Cilento and Vallo di Diano National Park, a few kilometres away from well-known sea resorts, like Palinuro, Amalfi and Positano, as well as unique cultural areas like Paestum, Velia and Pompeii. 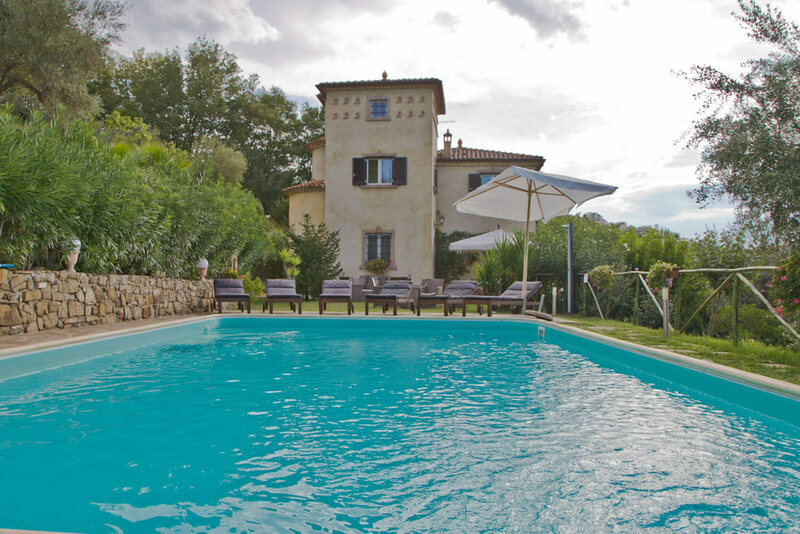 Borgo Riccio offers its guests a Bed & Breakfast service, along with many other services for a maximum comfort, like the outdoor swimming-pool and the free mini-gym center, as well as the cozy Relax Area with Sauna and Jacuzzi, available with a charge, and bookable for exclusive access. 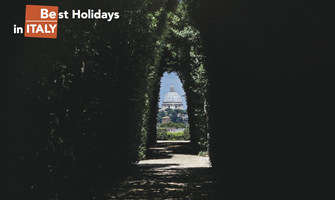 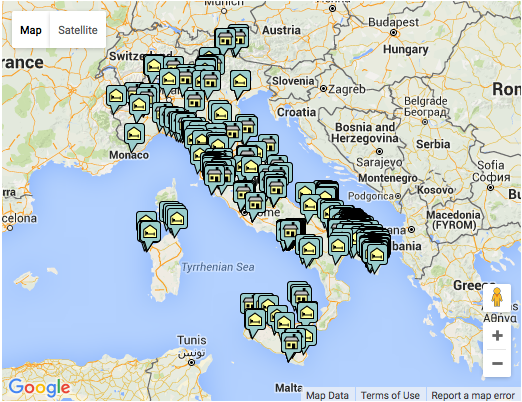 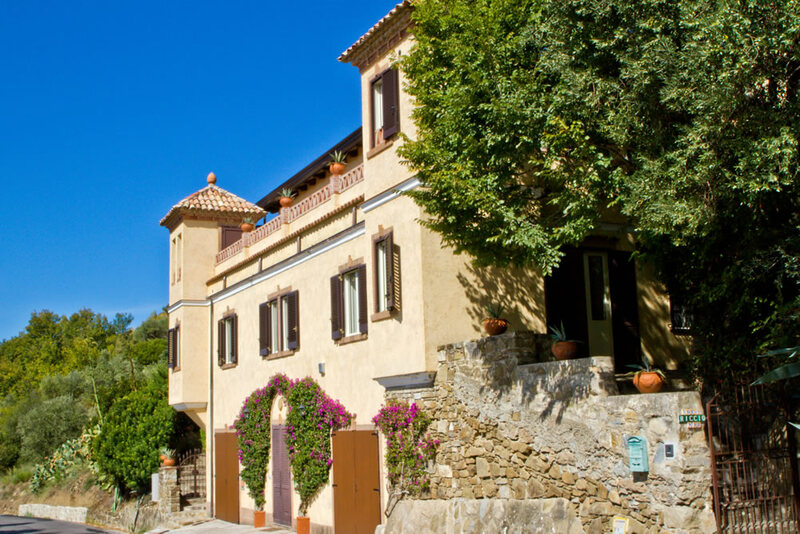 Borgo Riccio propose also several guided tours to discover the UNESCO Heritage of the Cilento. 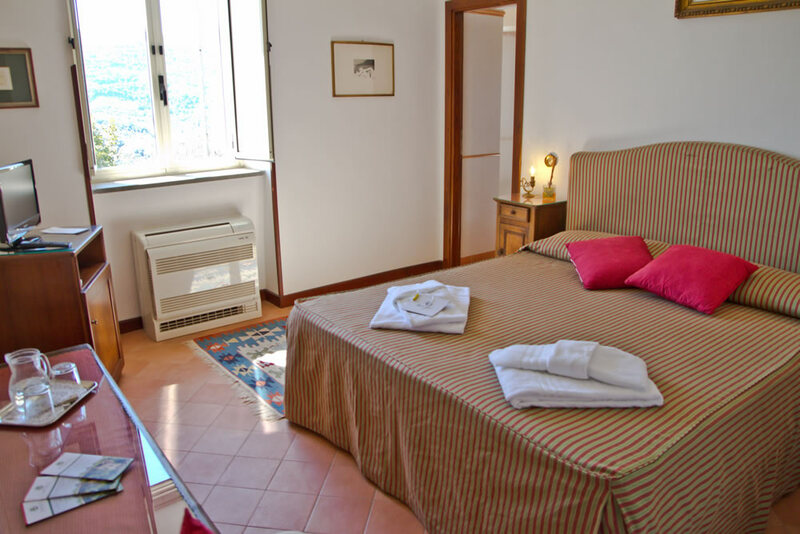 The Pink Room, on the first floor of the country house, is a double room, full of light with two windows with views of the pool, the sea and Capri. 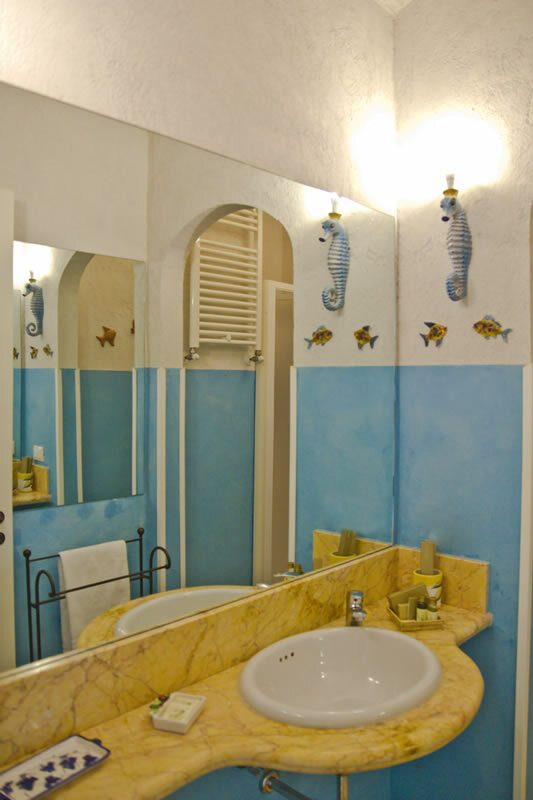 It is equipped with free WiFi, a flat screen TV, a minifridge, air conditioning and a large bathroom. 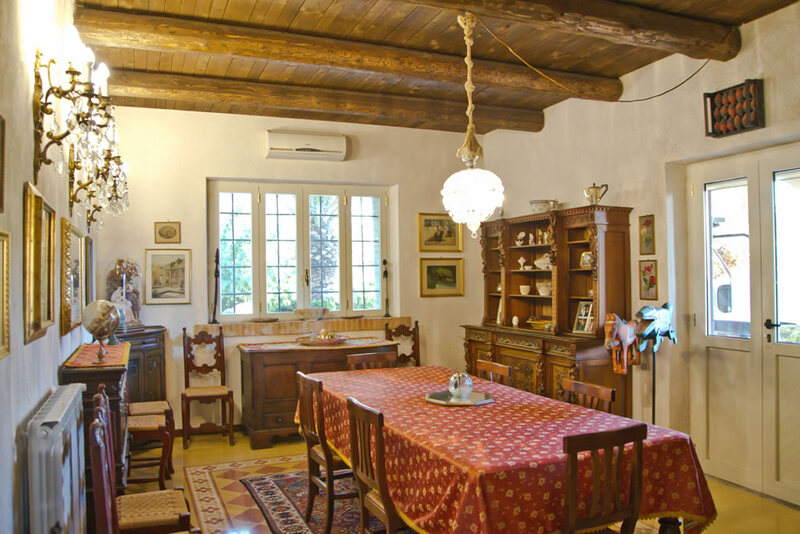 The Yellow Room, on the first floor of the country house, is distinguished by the vintage family furniture. 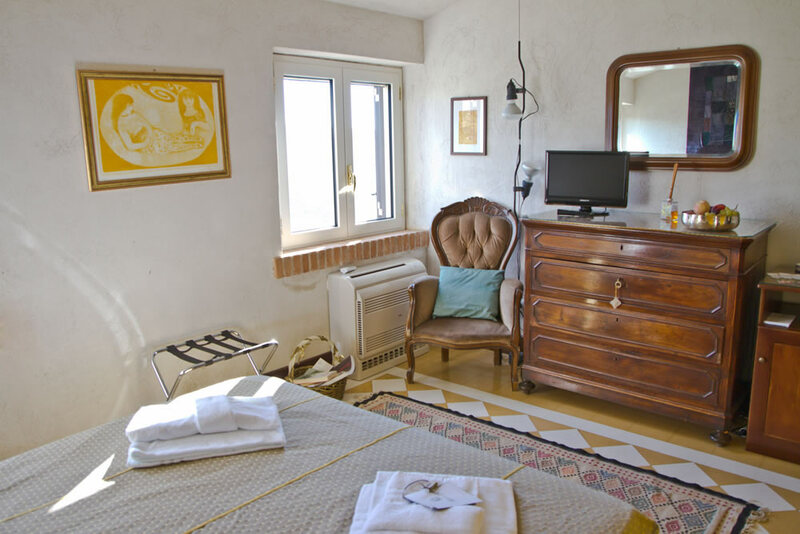 A double room, it is equipped with a minifridge, air conditioning, free WiFi, a flat screen TV and a bathroom with shower decorated with Vietri ceramics. 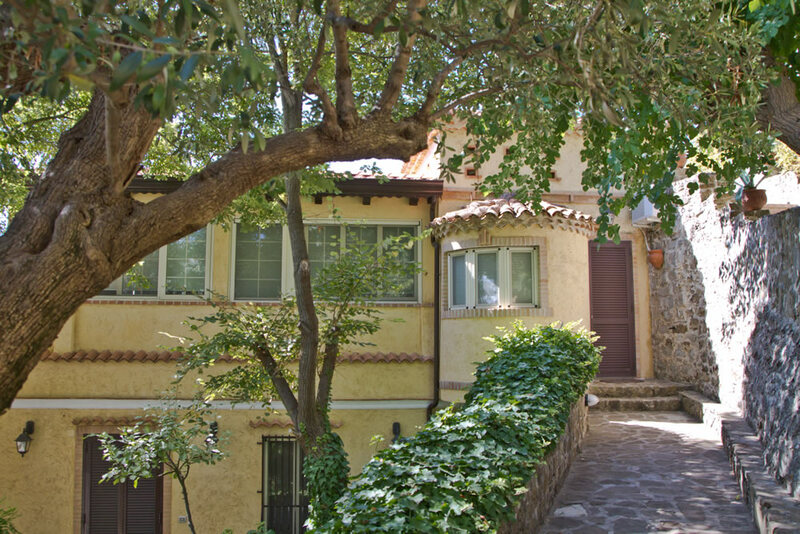 The two windows offer views of the Park. 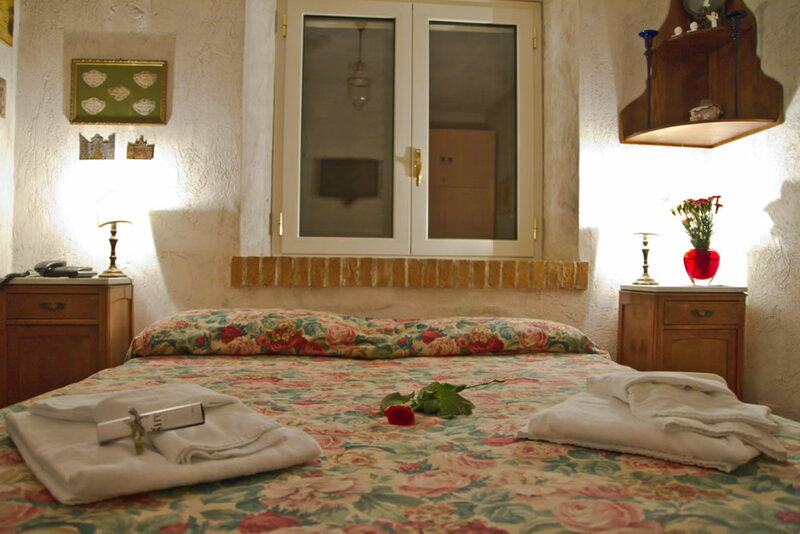 The Green Room, on the first floor of the country house, can be set as a twin room or a double room, as necessary. 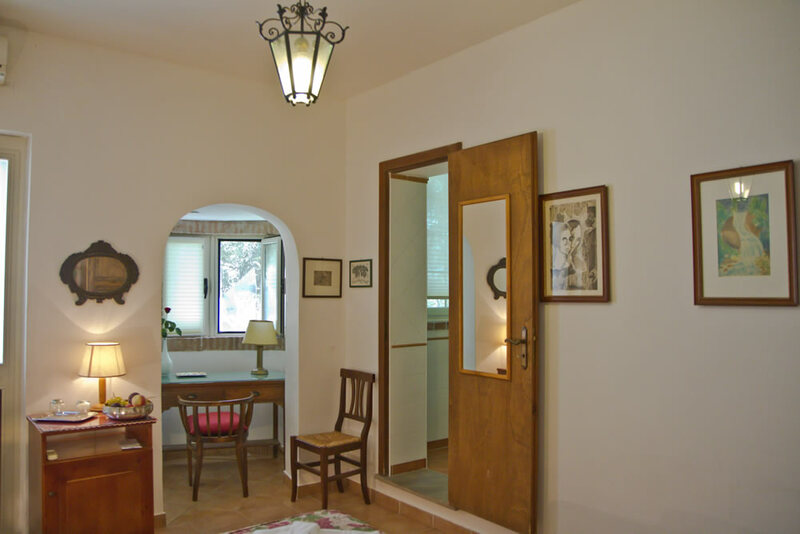 It is equipped with a large desk, two large windows with views of the pool and the park, free WiFi, a flat screen TV, a minifridge and air conditioning. 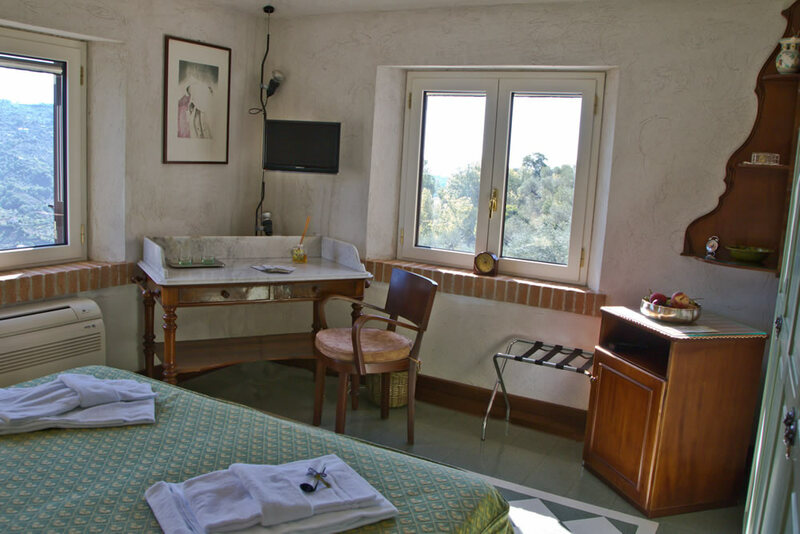 The Bougainville Room is equipped with a large double bed, a flat screen TV, a minifridge, air conditioning and a bathroom inside a small tower. 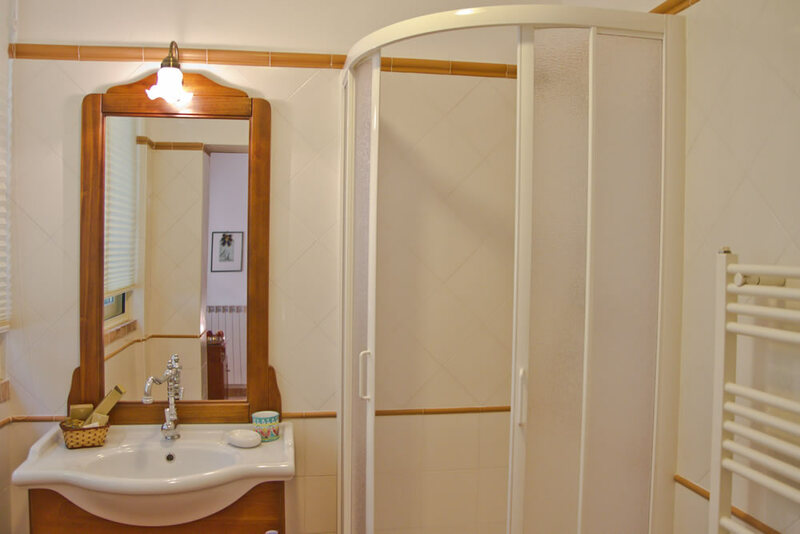 It can be set as a twin room or a double room as necessary. 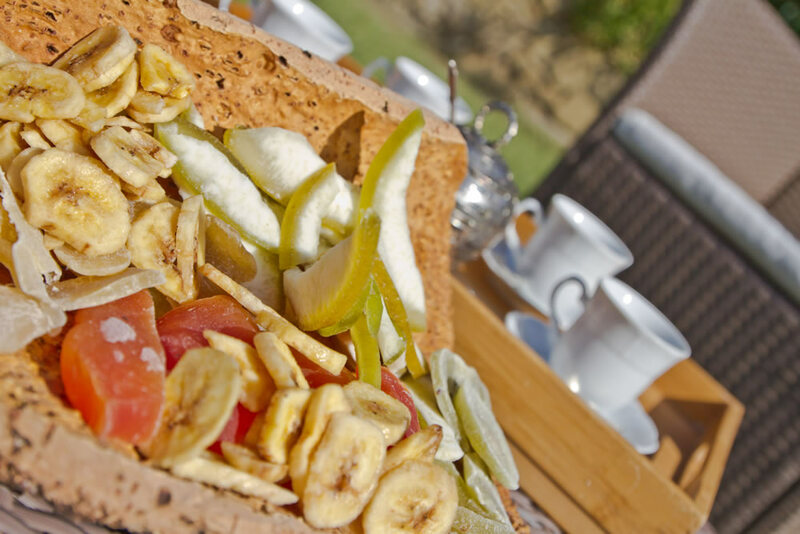 You can benefit from different services for your stay, from the daily room cleaning to the breakfast with typical Cilentan products tasting. 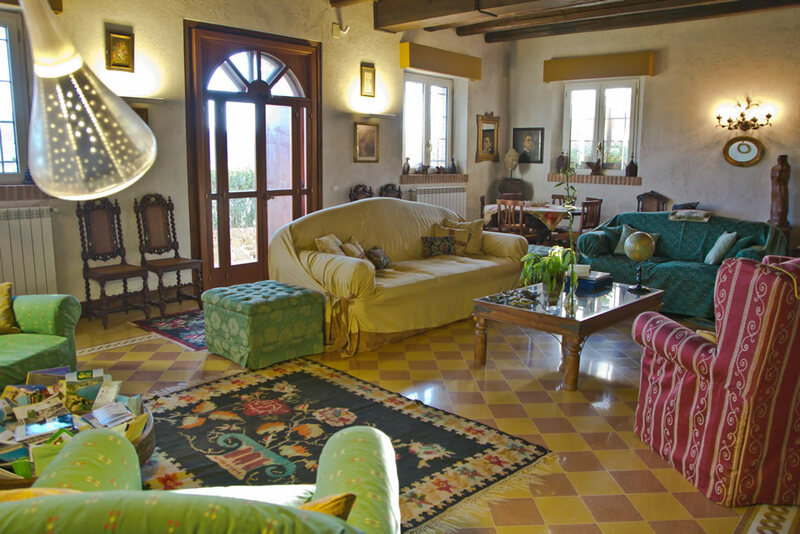 The Borgo Riccio vintage house is split into different functional areas as the guests’ needing. 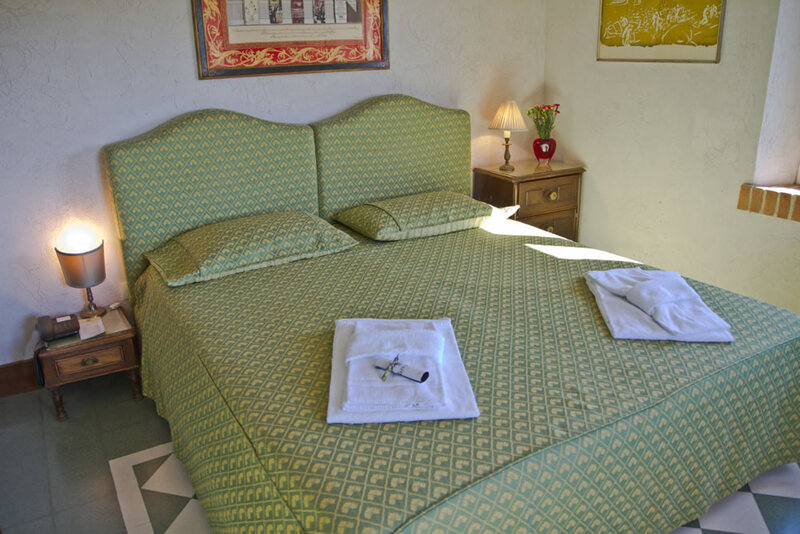 The B&B rooms are comfortable and spacious, each one with free WiFi. 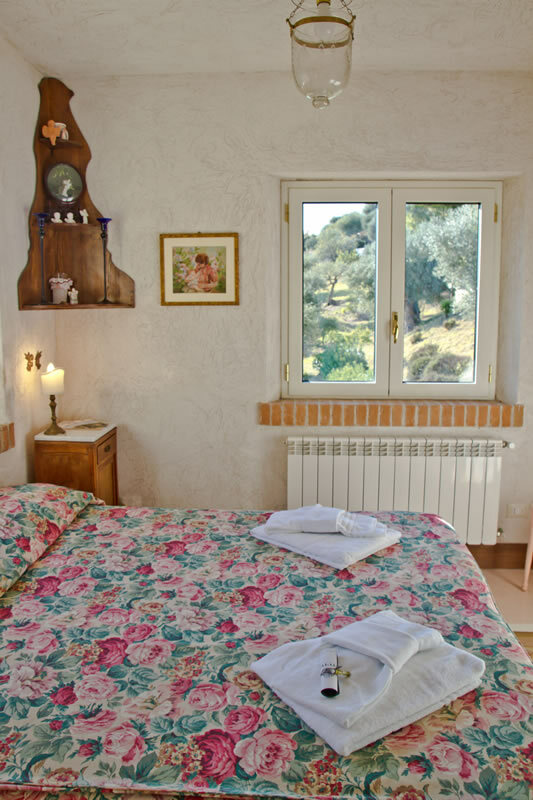 The Mimosa Room owes its name to the colors particularly bright and relaxing. 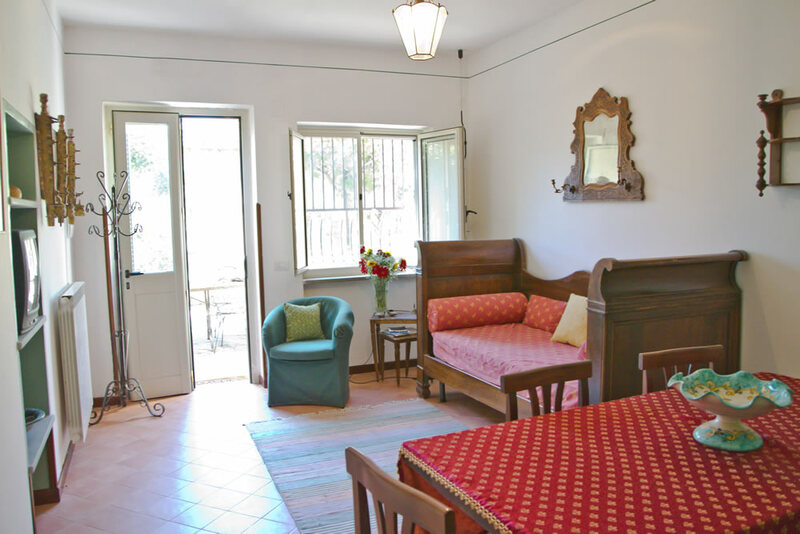 This room can be set as a twin room or a double room as necessary, equipped with a large private bathroom with hairdryer, air conditioning, a flat screen TV and a telephone. 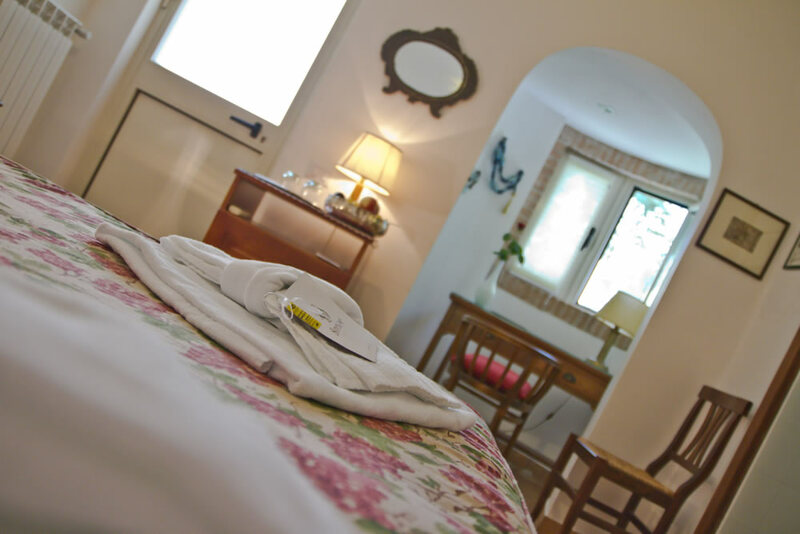 Furthermore, the Borgoriccio vintage house offers you high level services for your holidays, examined for the different necessities of our guests. 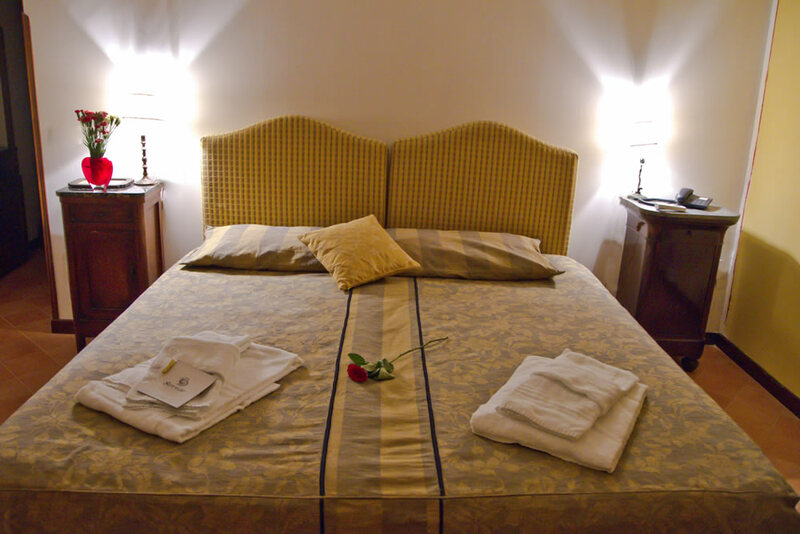 Recently refurbished, the Margherita Room is equipped with a double bed and an extra bed. 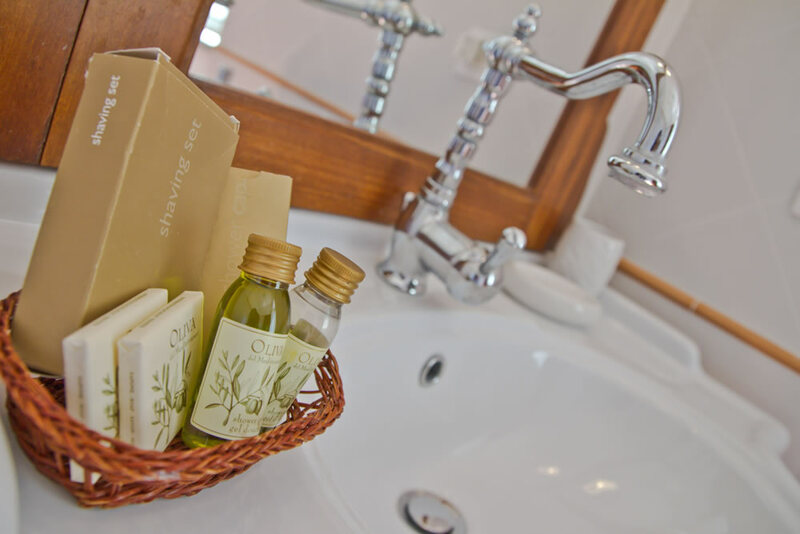 Particularly quiet, the Margherita is furnished with a large bathroom with shower, a vanity room with changing room, a minifridge, free WiFi, a flat screen TV and air conditioning. 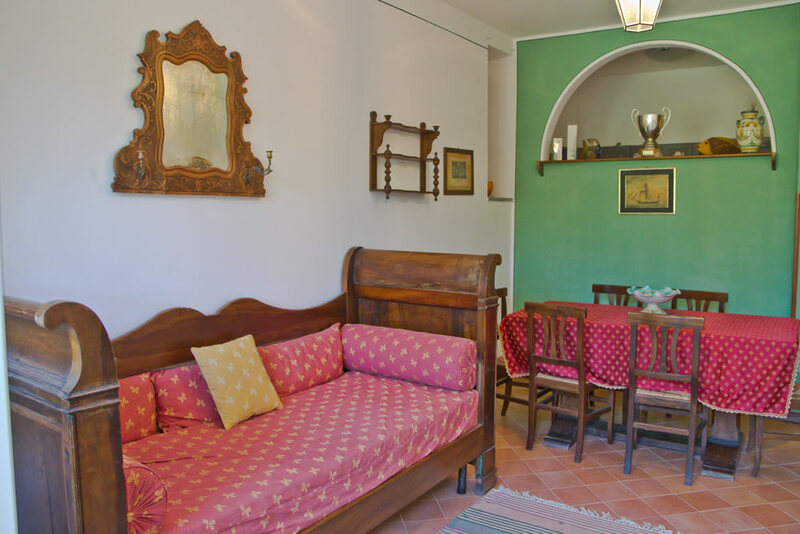 The Borgo Riccio vintage house is situated in the splendid village of Torchiara, in the province of Salerno, the perfect location to spend a slow holiday in Cilento. 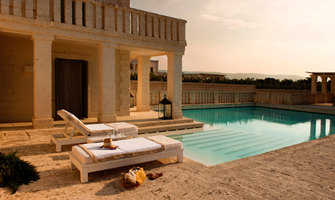 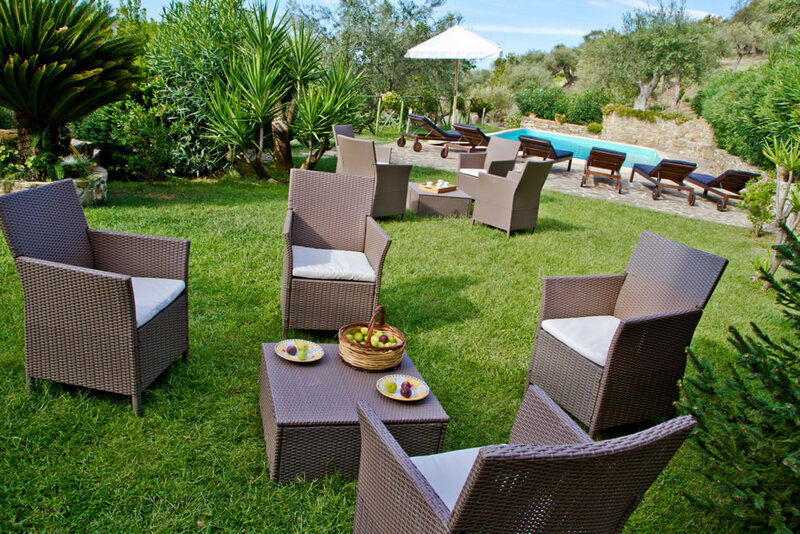 It is surrounded by the nature and the big garden with centuries-old olive trees. 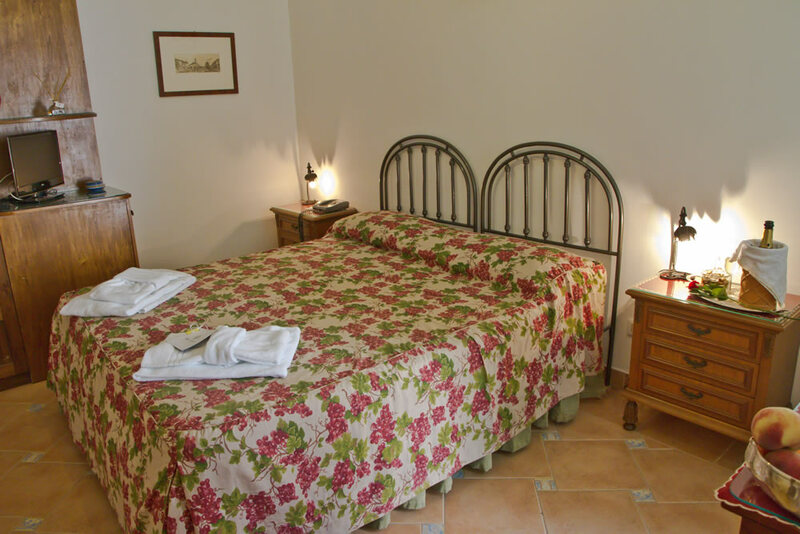 You can benefit from a B&B treatment and several excellent services for a relaxing and funny holiday, as the outdoor pool, the relax area with hot tub, the sauna and the WiFi available in the whole property. 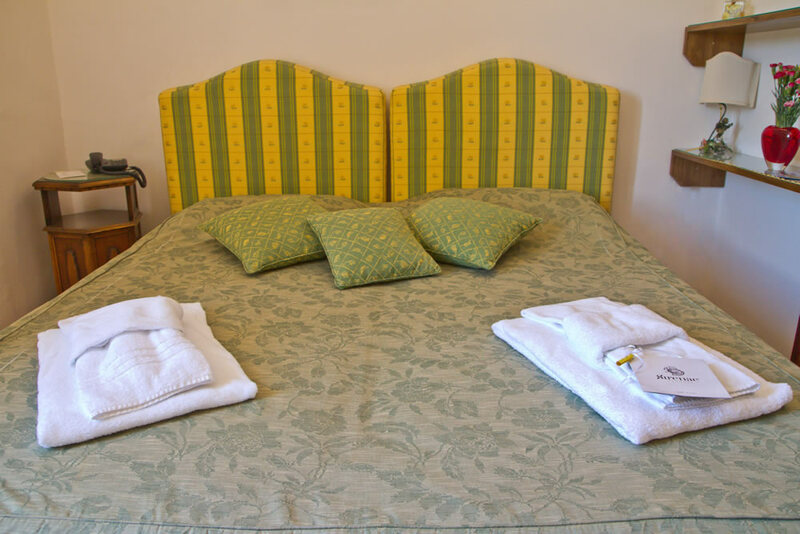 All the rooms of the Borgoriccio vintage house have been recently refurbished and improved to offer the best comfort to our guests. 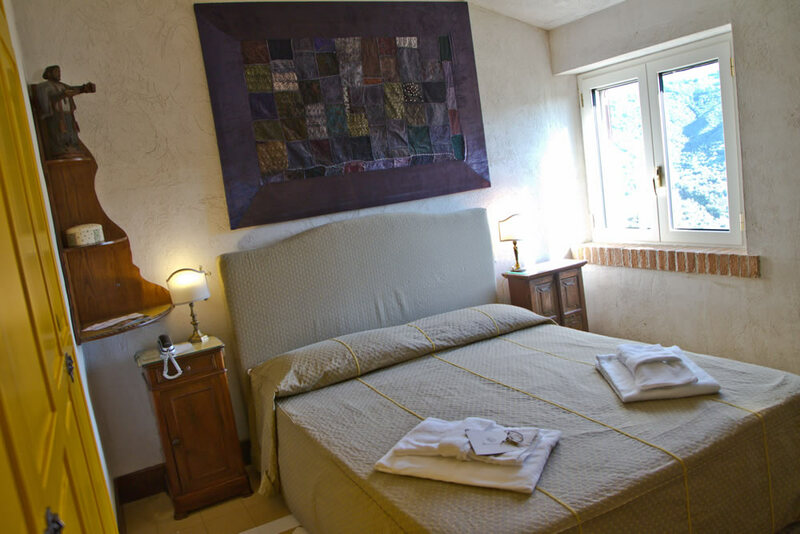 In front of the relax area, the Torino Room is a Double Suite with a nice study corner and separate entrance. 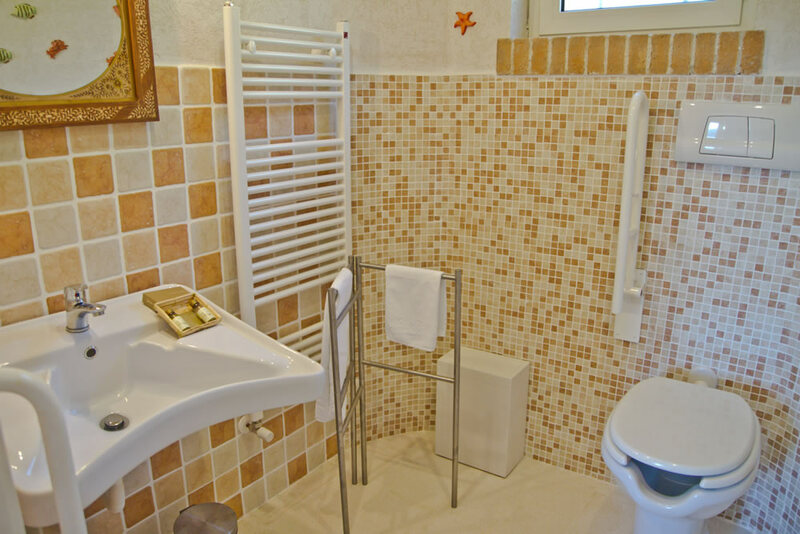 It is equipped with luxury furniture, a private bathroom, a flat screen TV, air conditioning, a minifridge, a telephone and free WiFi. 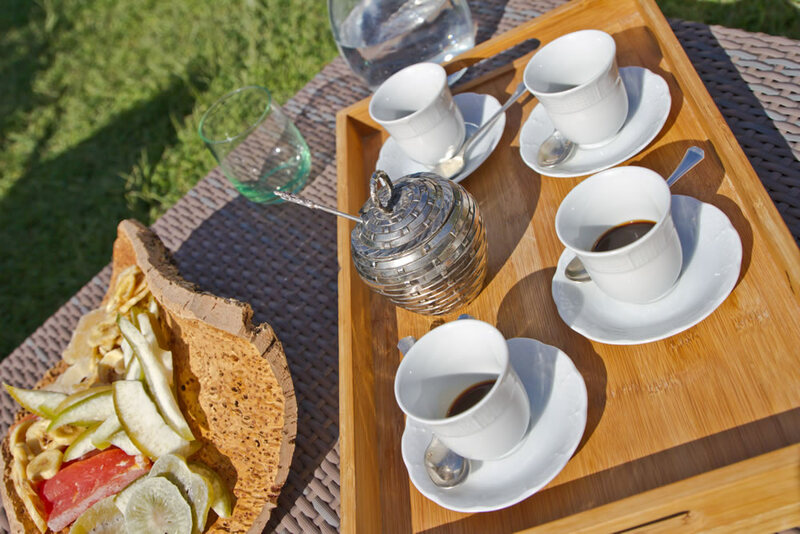 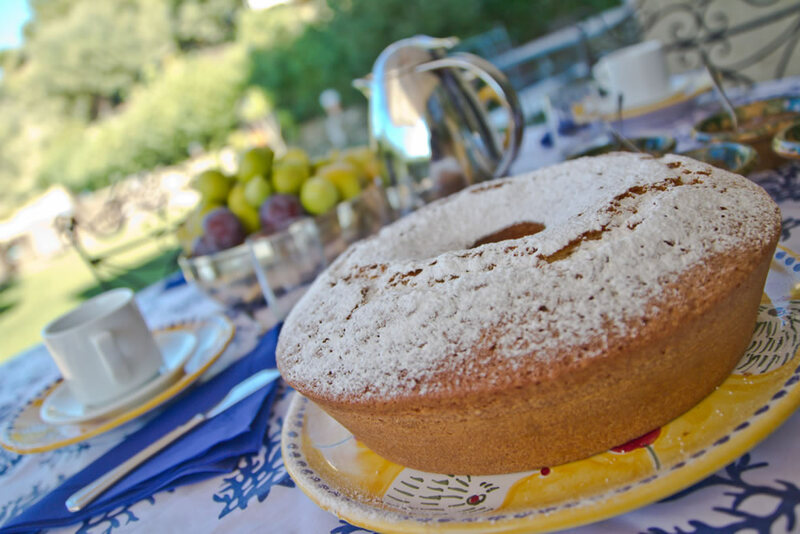 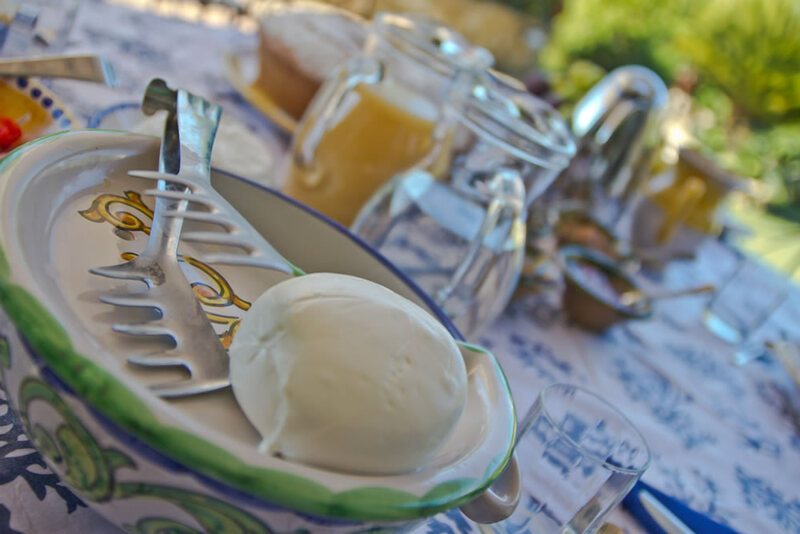 You can benefit from the rich breakfast, the pride of Borgo Riccio, where you can taste typical dishes of the territory produced with season and fresh products. 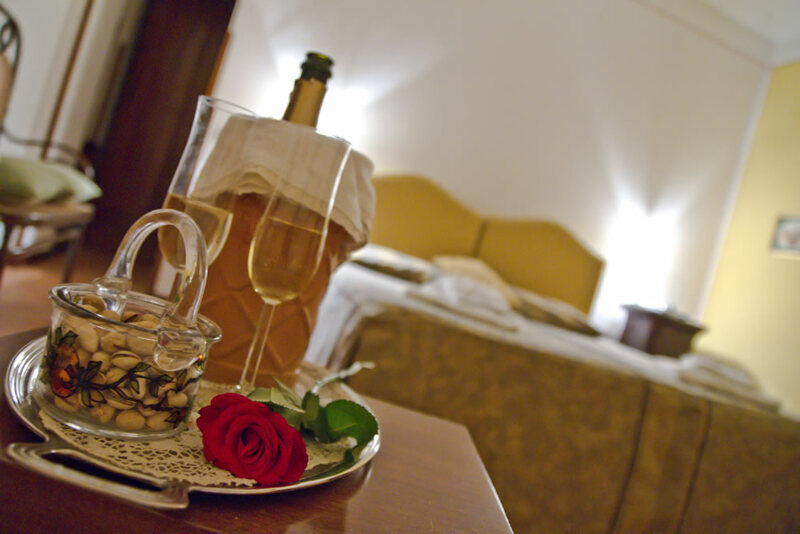 The room cleaning is offered daily by an expert staff. 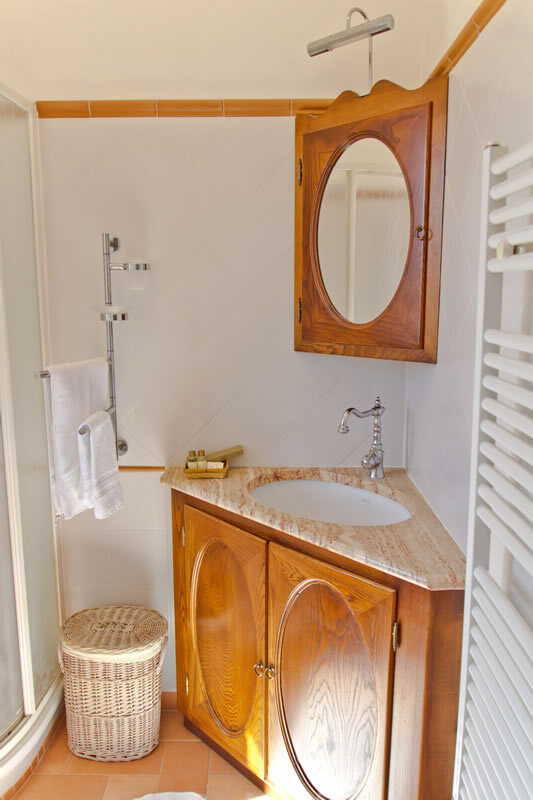 You can also use the laundry and the kitchen. 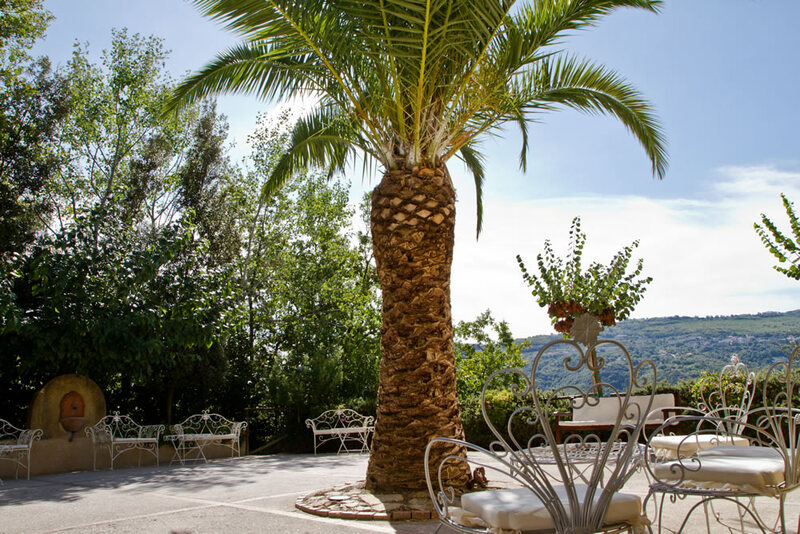 At Borgo Riccio guests can enjoy the Sun of the South and the peace of the Cilento and Vallo di Diano National Park, a few kilometres away from well-known sea resorts, like Palinuro and Positano.